According to the report, the education ecosystem needs to go through a set of system strengthening initiatives, including the introduction of digital and STEM (science, technology, engineering and mathematics) education in schools, which in turn will introduce girls to various career choices. 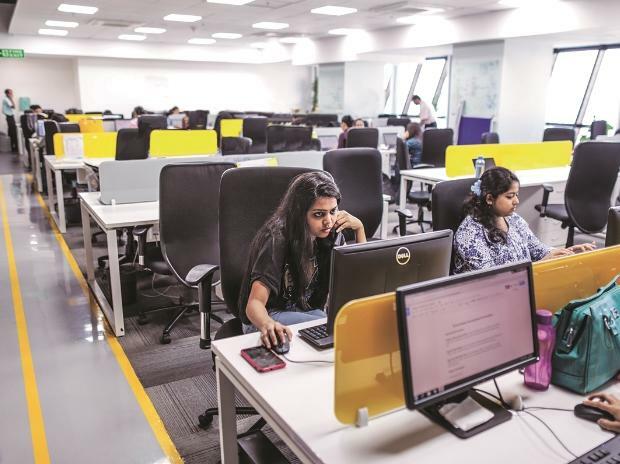 "Specifically in the India context, the female labour force participation has had a decadal fall from 36.7 per cent in 2005 to 26 per cent in 2018, with 95 per cent (195 million) women employed in the unorganised sector or in unpaid word," the Deloitte report noted. "The range of challenges for women and girls echoes across Asia and India - lack of education, access to quality education, digital divide, which limits them from gaining employable skill sets and entering the workforce or establishing an enterprise," the report said. With regards to the fourth industrial revolution, the report said, "a definite concern arises from the advent of technology, digitisation and automation that women who are largely employed in low skills and low paying jobs will lose their place in the workforce". The fourth industrial revolution influences the future of work in terms of the nature of organisational realities and leading skill types - complex problem solving, creativity, people management and emotional intelligence - providing opportunities for gender inclusive work cultures to emerge," the report said. "In addition, mentoring adolescent girls on vocational training and apprenticeship avenues can build a strong linkage towards considering technology linked training and employment options," the report said.